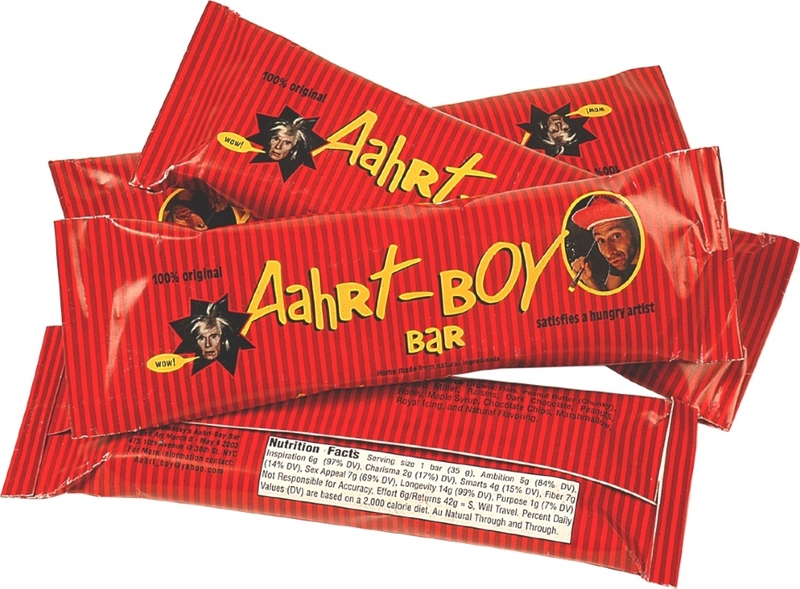 Aahrt–Boy Bar,2003, handmade “artist energy bar” made from all natural ingredients, with custom wrapper, 2 x 8 x 1”. 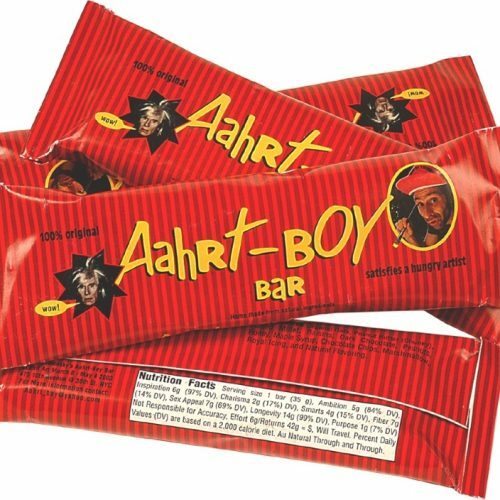 Aahrt-Boy Bar, an energy bar for artists, was handmade for Exit Art’s Reconstruction Biennial 2003 from all natural ingredients; promising creativity and inspiration, a fuel for artists and art lovers. 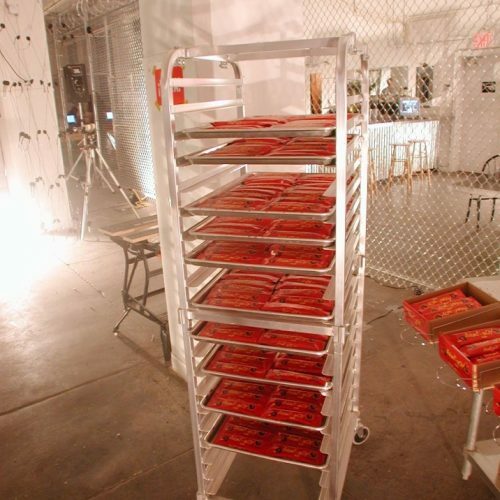 True to its form, Aahrt-Boy Bar provided artists in the exhibition all the needed resources to make their best work. 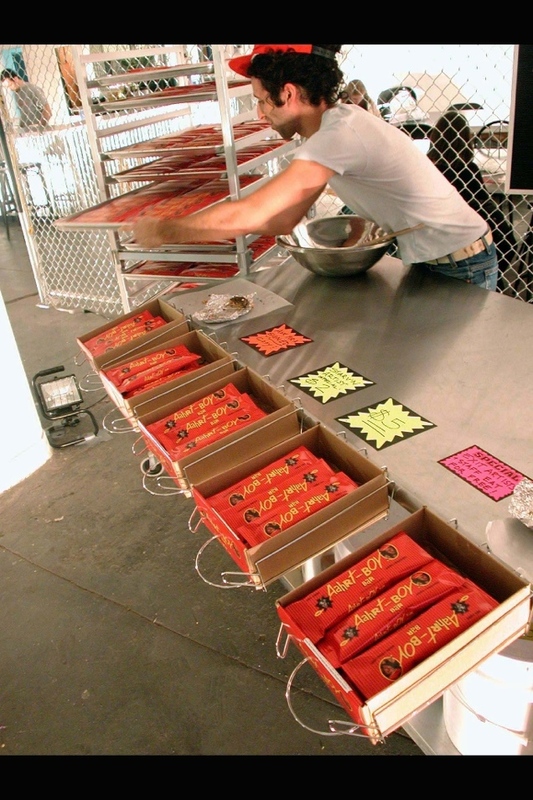 A steel kitchen table and bakers rack along with various bins of confection and boxes of wrappers was installed for making and displaying the bars in the exhibition space. 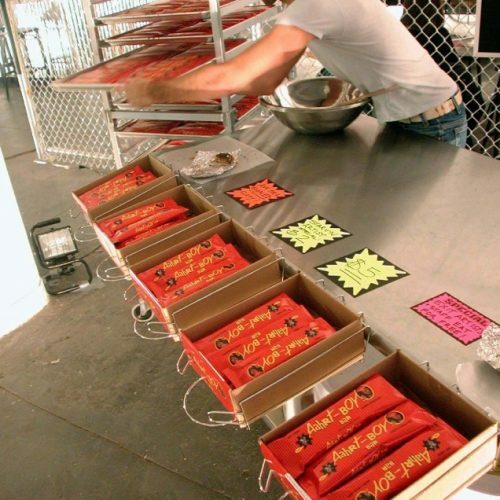 On site I greeted patrons, discussed the product,provided samples, and made sales. 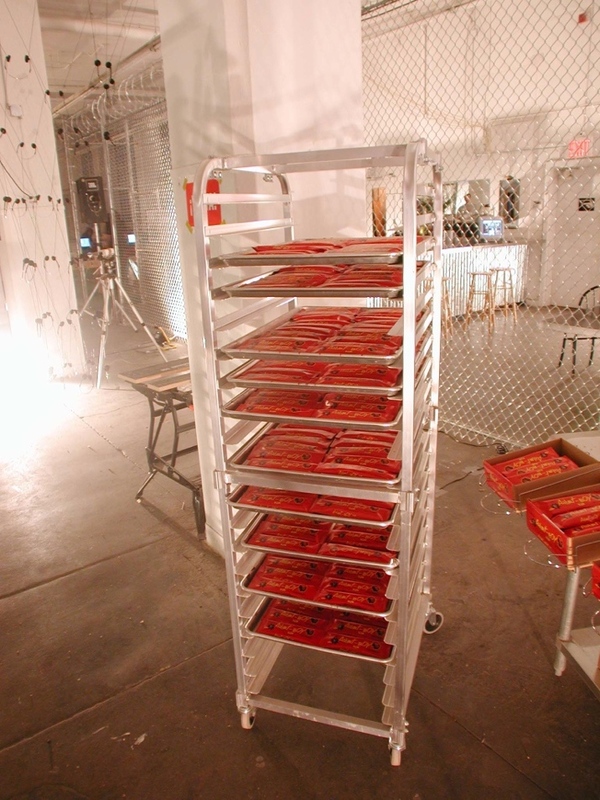 Everyone loved the “starving artist special” – only $2,wow!